Ah Summer is most definitely in the air.. and with that, picnics, lemonade and strawberries! And a good book. 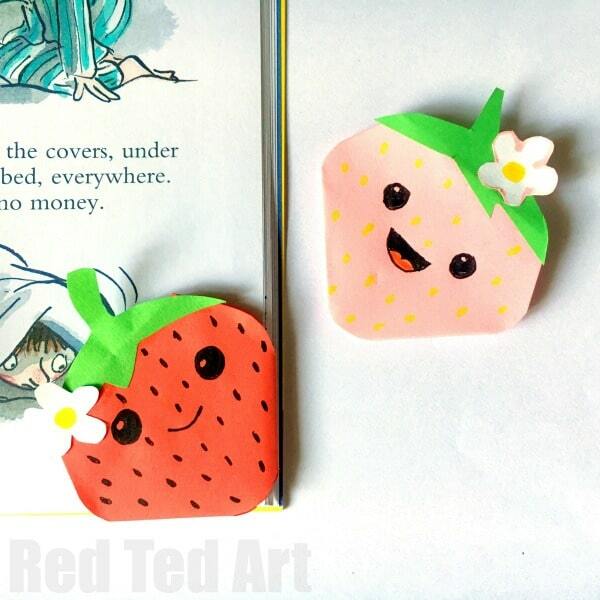 Also, we have Wimbledon Tennis will be starting soon and to celebrate we are (finally) sharing these super duper quick and easy Kawaii Strawberry Corner Bookmarks. Aren’t they the cutest? Love those happy little faces!! 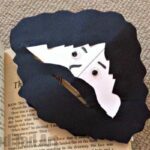 Nothing quite like a bit a of Summer Reading with a good DIY Corner Bookmark Design to keep your reading place safe! A great addition to our lovely set of Summer Corner Bookmarks! Begin by making a basic Origami Bookmark in yellow. 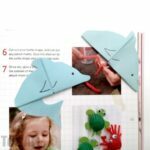 We have Origami Bookmark Step by Step Instructions (including photos) or check our handy Totoro Corner Bookmark video above! 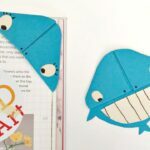 Once you have your basic corner bookmark, either trim the “additional flap” or tuck it under. 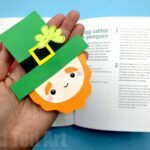 Turn the bookmark around to work on the “flat side”. Trim the sides to create the basic strabwerry shape. 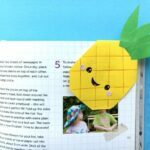 Use this shape to trace a green “stem hat” for your strawberry bookmark and cut out. Add a little paper flower (if you wish). 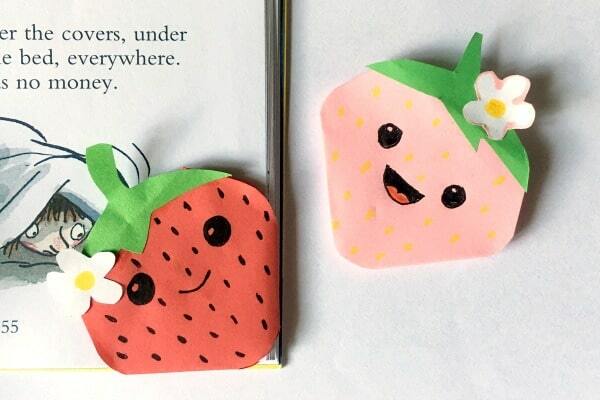 And your darling Strawberry Corner Bookmark are finished! 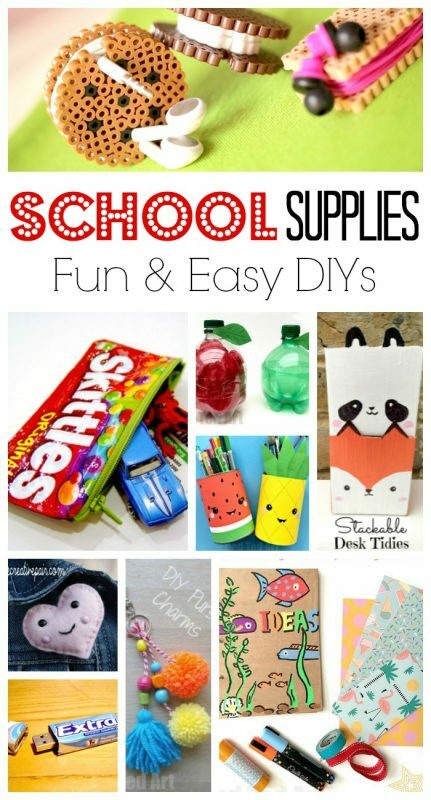 And even more great School Supplies DIY Ideas here! 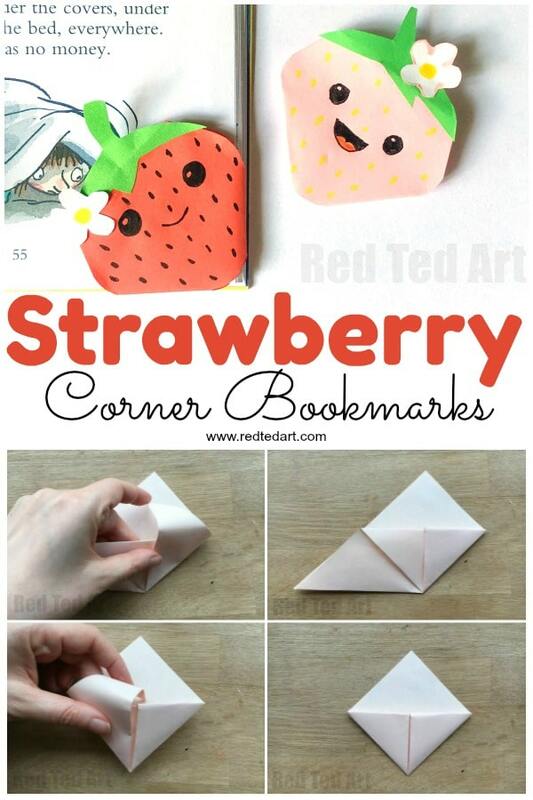 Happy Strawberry Corner Bookmark making! 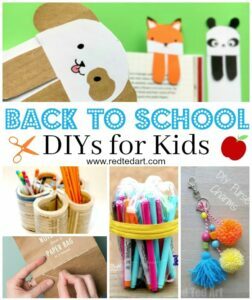 I absolutely love Red Ted Art and crafts. 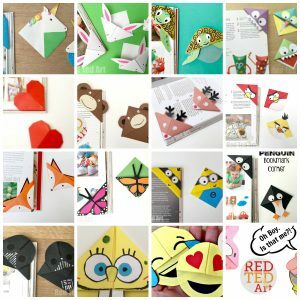 All the ideas are so creative, easy and use items that are easily found and not very expensive. Thank you for this awesome website. 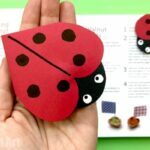 and your terrific ideas, I use Red Ted for my resource for crafts for the nature center where I volunteer. 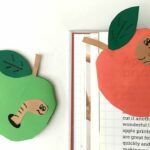 We have a monthly Kids’ Art and Nature Activities in Tecolote Nature Center in San Diego California. I always get raves for our crafts. I think in part because they are unique to England and so different from US. Oh thank you! So pleased to hear it!